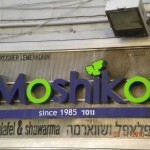 The Jerusalem Rabbinate Kashrus Division reports Moshiko Shwarma on Ben-Yehuda pedestrian mall and in Ramat Beit HaKerem are now Jerusalem Rabbinate Regular after the mehadrin designation has been removed. Posted on August 6, 2012 by JKN Israel. This entry was posted in JKN Alerts, Restaurants. Bookmark the permalink. I thought it had always been Regular rabbanut Jerusalem and OU. Does it still have the OU hashgacha? I visited on Wednesday, 27 Menachem Av 5772 and saw one certifcate only, from the Jerusalem Rabbinate non-mehadrin. The OU removed the hashgacha a long time ago. 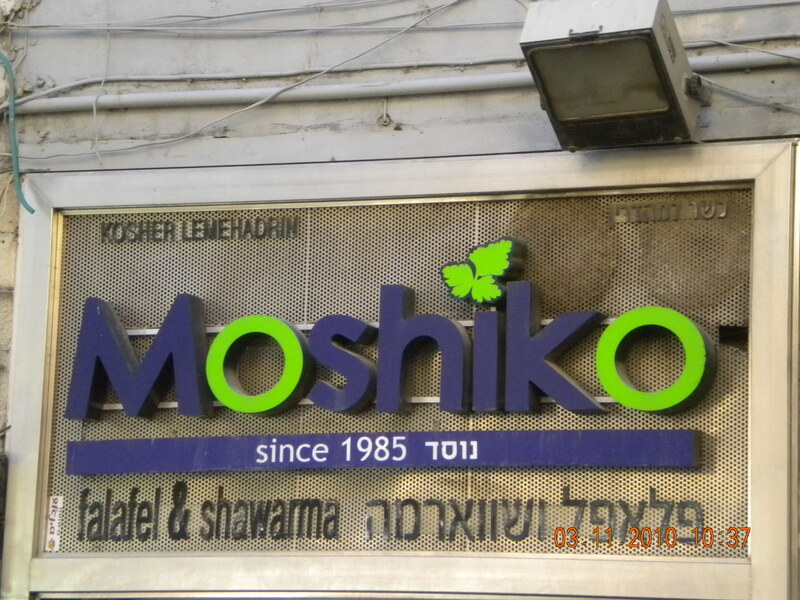 There is a Moshiko Restaurant that advertises in Torah Tidbits that is under OU in Mevasseret Tzion 02-579-7744 as of issue 1011 parshas ekev and reah.